Tuesday 22nd – Wednesday 23rd January, 2019. Venue: M & M Events Center, 11, Tafawa Balewa Way, Garki, Abuja. Below - This is the current situation at LEKKI ADMIRALTY WAY TOLL GATE in LAGOS, Nigeria. 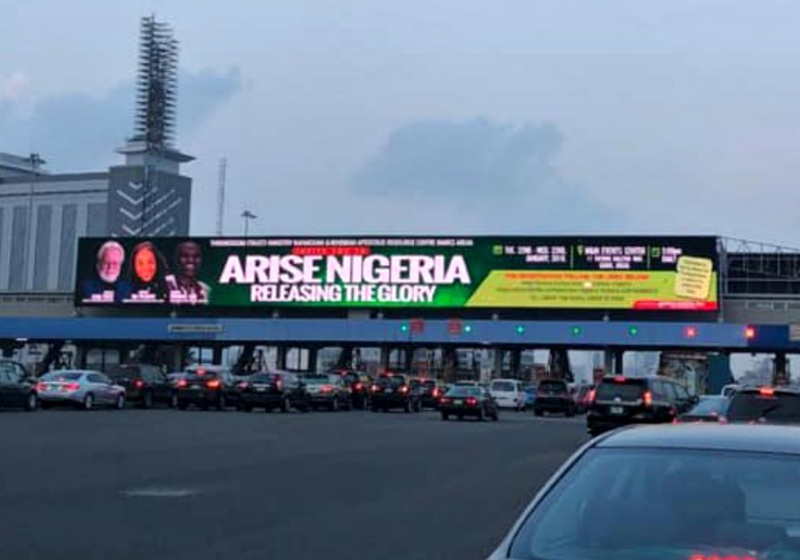 Today 14th of January at 7.47a.m an apostle in the marketplace based in Lagos was led of the Lord to possess a major gate in the city and to decree and to declare the apostolic call ‘ARISE NIGERIA’ over that toll gate. This is a national call and a people’s call to say every satanic toll gate over Nigeria, bringing hard labour and standing in the way of the nation’s arising has been destroyed this 14th day of the year of the year of the Lord by the mystery of the four carpenters in Zechariah chapter 1 in Jesus name.